If you want to build a house or other building, both for personal and business purposes, it is certainly wise to hire an experienced architect to help you. 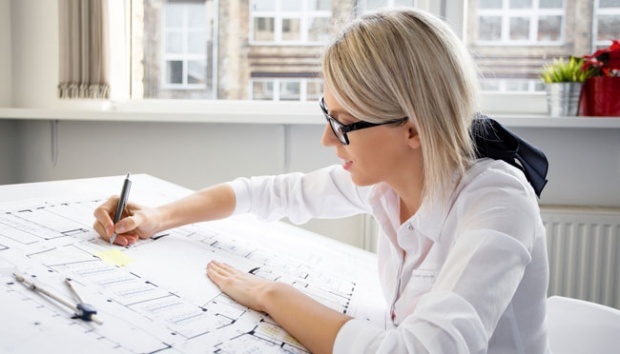 Not only will your building look better, architects can help you in creating buildings that function well and efficiently, avoiding problems that you don’t want in the future. Building is a long-term investment because the manufacturing costs are not cheap. Even not infrequently, the house that you want to build will stay for you for life. The impact you feel will be very long. Of course you want to get a home that is very comfortable and you can be proud of family members, relatives, and anyone who visits your home. A reliable architect can help you make that happen. The additional investment you need to spend is not necessarily expensive. Usually the average cost of an architect’s design is only about 5% of the total Budget Plan for your home, a small investment that is very feasible to get a quality that is far greater in value. With the development of technology, finding architects is no longer a difficult thing. You just have to open your cellphone / laptop and look for architects through the internet. If you want to open a small coffee shop, or renovate your shop to be more artistic, or build a restaurant that can become a new culinary icon in your city, there is nothing wrong with you seeking the help of a reliable architect or interior designer to realize it. A reliable architect can certainly be seen from his portfolio. The more experienced an architect is, the more rich his portfolio must be, both in terms of quantity and quality. What forms of buildings have he designed before? Does it suit your taste? What types of buildings have he made? If you want to find architects to build a restaurant, of course you need to find experienced architects building restaurants. If there are so many portfolios, but all high rise houses and no restaurant projects, maybe the architect is not right for you. Similarly, if you want to build a hospital, of course you need to hire architects who have often built hospitals, not restaurants or malls. If you find a number of architects with a good portfolio that suits your tastes, maybe you can start contacting and make an appointment with them. The next step to choosing an architect is to meet them directly to see his personality. Are they people who are sociable or quiet? Do they like to joke or seriously? Are they explosive or calm? Choose an architect with a personality that matches your personality. Remember that hiring an architect is not the same as hiring a plumber. You’re not only dealing with him for a day or two and then finished. An architectural project will take even an annual time. You certainly want to work with people who have personalities that you like. In addition to meeting directly, you might begin to recognize the personality of an architect from his social media such as Facebook, Twitter, or Instagram. Many architects are active in social media and this can help you to get to know their personality easily. Ask the opinions of previous clients. There is no more opinion you can trust compared to the opinions of clients who have previously worked with the architect. A satisfied client will gladly give positive assessments about the architect. Similarly, on the contrary, a disappointed client will usually automatically express his disappointment to you. If you already know some of the architect’s portfolio, you can try to ask the client directly. If you have known the client before, you are lucky enough. If not, you can find out for yourself the contact or even ask the architect. Ask for detailed methods of work (including fees). Once you have been convinced by positive comments from satisfied clients, you can start exploring how it works. Each architect has a way of working that is sometimes a little different from each other. You can ask in detail how he usually works, from where, what he will do, when is the deadline, to the most important thing, which is the fee. Usually the architect will submit an offer which includes the work stages complete with any product (drawings / mockups / videos) that he will give you, deadlines, and fees for each stage. You need to learn everything that is written there, ask if there is something you don’t understand, and of course you can bid the price. If the price is right, just deal and plan your dream home will begin. The four factors above are technical things you can do to find the right architect. However, in the end that determines the exact / absence of the architect for you is the chemistry between you and the architect. Choosing an architect may have a little in common with choosing a girlfriend. You can have certain criteria, but in the end “chemistry” is what unites you both. Previous Previous post: With These Tips, Any Home Can Be A Dream Home!